The proposals will cut military pensions by 20 percent, but replace those lost earnings with government contributions to the new 401(k)-style investment account. On April 30, President Barack Obama will present to Congress his endorsement for 15 recommendations on compensation and retirement issues related to members and veterans of the Armed Services. The 15 recommendations were sent to the White House on Jan. 29 by the Military Compensation and Retirement Modernization Commission following a two-year study. They would give individual troops far more control over managing their own retirement packages. The most important elements of the proposals “would shrink the size of future troops’ pensions and end the 20-year, all-or-nothing aspect of the current benefits package by starting 401(k)-style investment funds with government contributions for lower-ranking troops,” according to an article by Military Times. In essence, the proposals would cut military pensions by 20 percent, but replace those lost earnings with government contributions to the new 401(k)-style investment account. Retirement planners should care about all of this for two reasons. First, both active duty members of the military and veterans will have a lot of questions about their retirement strategies. Second, with the Baby Boomer generation at retirement age, that includes an awful lot of soon-to-be military retirees. Retirement planners that have not yet worked with individuals from the military no doubt soon will be, said Don Chamberlin, founder and CEO of The Champerlain Group. Approximately 25 percent of his 1,000 clients are either active military or retired veterans, he said. “We’re in St. Louis. There are two big VA hospitals here. The Strategic Mapping complex is here. There are a lot of those workers that are retiring. They have the depository for a lot of the historic records here in St. Louis. There are quite a lot of government workers and military workers in our area. There is a big military base on the Illinois side of the river—an Air Force base. Mostly it’s just regular people that are retired military or getting ready to retire,” Chamberlin said. Some of Chamberlin’s clients are career military personnel, and have never known anything but a military pension. Others have done short stints in the military and have a military pension and a public sector retirement plan, 401(k) or IRA. Chamberlin is a retired federal employee benefits coordinator, and knows a great deal about military pensions and how they compare to public sector plans. 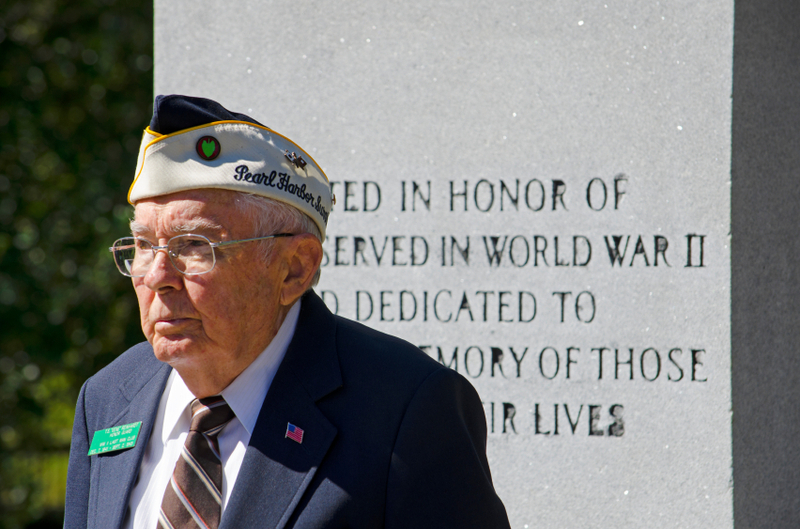 Veterans may also quality for a special assistance benefit available for those that require nursing home care. And depending on when they served and for how long—some veterans may qualify for long–term care benefits either included with their pension or available at a reduced cost, Chamberlin said. What military personnel and veterans often do not have, however, is a good understanding of their retirement options, Chamberlin said. The result is a huge need for the advice of retirement planners. It also presents an opportunity for planners to give back, as-it-were, Chamberlin believes. To do so, retirement planners should familiarize themselves with four programs in particular, Chamberlin said.